We all have one–a Secret Name that is. The Bible tells us so. Yet few of us know ours. Ignorantly, we’re stuck, caught up in the “Name Game,” searching for our true identity. 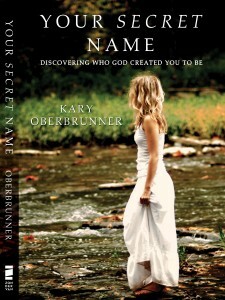 Author Kary Oberbrunner takes you deep, past clichés to discover Your Secret Name and the vision God has for your life. Kary Oberbrunner has a burning passion—igniting souls. Through his writing, speaking, and coaching, he helps individuals and organizations clarify who they are, why they are here, and where they should invest their time and energy. The author of several books, he and his wife Kelly are blessed with 3 amazing children.